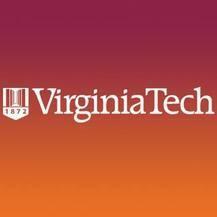 The Virginia Tech Language and Culture Institute provides language-related programs and services for academic and professional development. Through its work, the institute contributes to the university's diversity and intellectual capacity by helping to attract the best and brightest international students, scholars, and professionals to our community. Part of Virginia Tech Outreach and International Affairs, the institute has locations in Blacksburg at the main Virginia Tech campus, in the National Capital Region, and at Radford University. The institute hosts over 500 students per year from more than 30 countries spanning the globe, served by 75 professional faculty, instructors, and staff. There is no better way for you to improve your English language skills and ­experience American culture than through the LCI. You’ll meet dedicated faculty members who all hold master’s or doctoral degrees and certificates of advanced study. And you’ll study in a state-of-the-art computer lab and teaching facilities that will help bring your lessons to life and allow you to make rapid progress. But we think you’ll learn so much more than just English at the LCI. Your time here will be one of the most memorable experiences of your life. At our campuses in scenic Blacksburg, Radford, and the Washington, D.C. area, you’ll experience American culture both inside and outside the classroom while gaining the skills to help you achieve your academic, professional, or personal goals. Our buildingOur new location, opened in 2014, helps students and professionals achieve their English language goals. Just minutes from Washington, D.C., we are conveniently located a block from the Dunn Loring-Merrifield Metro stop on the Orange Line. If you are planning on taking the Internet-based Test of English as a Foreign Language, this course can help you improve your score. If you are planning on taking the Internet-based Test of English as a Foreign Language, this course can help you improve your score. This test, more commonly called the TOEFL iBT®, measures the English proficiency of nonnative speakers of English. It is the most widely recognized test of English proficiency in the United States, accepted for admissions purposes by colleges and universities throughout the country. The TOEFL iBT is administered in secure testing locations throughout the world, including at the LCI in Blacksburg. Unlike previous versions of the TOEFL, this test measures all four language skills — speaking, listening, reading, and writing — with an emphasis on assessing the ability to communicate in English. TOEFL Preparation is a featured elective in the Intensive English course series. You must demonstrate high-intermediate level of English proficiency and be enrolled in Intensive English core courses. This course series helps international students meet their personal, academic, and professional goals through intensive English language study. Our exceptional professors and state-of-the-art technology ensure a superior program of instruction. The Intensive English Program is an academic preparation course designed to help international students make the transition to American academic life through full-time instruction in English as a second language. Students enroll in two required core classes and an optional elective each term and are engaged in these classes for 20 to 24 hours per week. Classes are divided into 10 levels according to language proficiency. Our highest levels make up a concentrated preparation program to help students transition to university classes. Four hours per week are devoted to special-interest electives, which may be taken optionally and at extra cost. TOEFL iBT® Preparation, offered each term, is available to students who have high-intermediate to advanced language proficiency. The elective offerings vary by session, but typically include American Idioms, Orientation to American Culture, Skills for University Success, Advanced Academic Listening, American Media, and Business English. Are your language skills getting in the way of what you want to say? We can help you improve your professional-level English language skills. Our English for Business and Government program provides top English language training by employing a distinctive, step-by-step approach that will help you or your employees gain the skills and techniques needed to confidently conduct business in English. 25 50-minute sessions per week, including at least one Professional Field Visit. If you are an excellent student and wish to apply to a degree program at Virginia Tech or Radford University but do not have good English skills or the necessary TOEFL score, don’t worry — you may be eligible for conditional admission! Our conditional admission for international students program lets you work toward meeting the ­requirements of attending Virginia Tech or Radford while you study at the ­Language and Culture Institute. to the required standard through our Intensive English Program. Through the Intensive English ­Program, you will develop many of the skills necessary for success in a U.S. university, such as research, critical thinking, and academic writing skills. Because the conditional admissions program allows you to start your studies at the LCI, you will have time to adjust to life in the United States. Challenges such as homesickness and culture shock can be dealt with before you begin your regular university coursework. You will have more time to explore the university and its course offerings. At the LCI, you will be in a comfortable, supportive environment, ­surrounded by faculty and advisers who have vast experience helping ­inter­national students. Malaysian teachers at the LCIThe Language and Culture Institute offers customizable programs in English language and American culture. Programs can be designed based on the needs of your group, whether they be short- or long-term; professional or academic in focus; on-campus or on-site. Our programs are custom-designed and based on the specific requirements of your company and your employees.